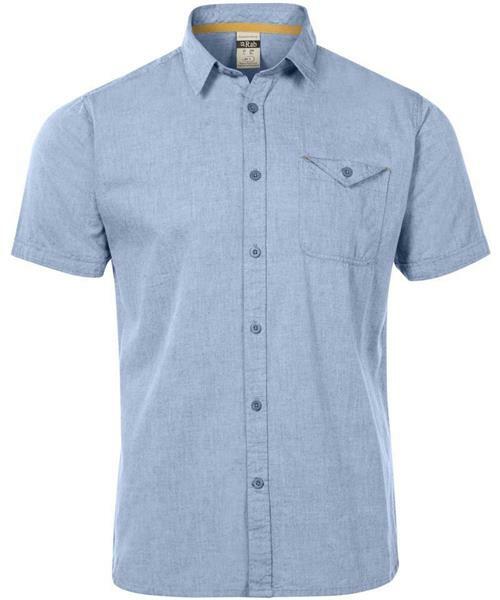 The Maker Short Sleeve Shirt is a smart and stylish chambray style cotton shirt - take it on your travels in the summer months. Wear it to the bar after a day sport climbing in Kalymnos, or throw it over a vest after a bouldering session. This regular fit summer weight shirt is made with 100% cotton, featuring shirt collar and one chest pocket, with Rab detailing. Maker SS Shirt - Mens is rated 2.0 out of 5 by 1. Rated 2 out of 5 by Dale from wrinkles This shirt wrinkles the instant you look at and the wrinkles are extremely difficult to get out. It's also a little short. Won't recommend.